Yamaha Motor has launched three new scooters in India a bid to double their market share to 10% this year. 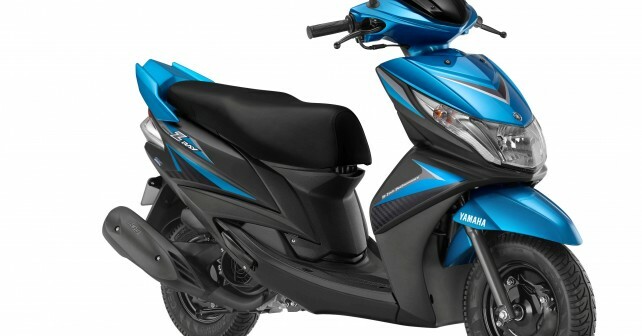 All three scooters, namely, Ray, Ray Z, and Alpha are enabled with Yamaha’s ‘Blue Core’ engine concept that is designed to increase combustion and cooling efficiency, along with reduced power loss. As a result, the 113cc four stroke engine offers increased mileage of 66 km/l, up by 4 km/l from the previous variant. “The success of the Ray, Ray Z, and Alpha scooters are essential to Yamaha to realize its targets in the coming years. We are looking to place ourselves as a mass-market leader in India and scooters is certainly are main focus to be able to achieve this. Yamaha sees scooters contributing over 50 percent of its sales in the future. Currently, scooters constitute about 40 percent of our sales,” he added. The three scooters are competitively priced in the sub-50,000 bracket. The cheapest in line, Ray, which is oriented towards college girls, can be purchased for Rs 47,805(ex-showroom Delhi) while its male counterpart, Ray Z, is priced at 48,396. The Yamaha Alfa - which caters to a much wider family audience - sells at a price tag of Rs 49,939.